4 bedroom, 3 bathroom villa in the The Manor at Westhaven community. Owned by Jason Adams and Scott Fletcher. Ref: 3433. 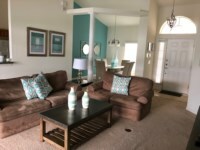 Beautifully presented, quiet four bedroom villa in a gated community with an oversized private pool deck with 30' x 15' pool and 7' diameter spa. A fabulous property – spacious and very well decorated. Great location for Disney- 15/20 minutes and shops / restaurants within 5. Really appreciated a home from home. Liked everything about it and will be high on our places to stay again list. Fantastic property, the photographs do not do it justice. Lovely large well kept villa. Swimming, pool and spa were lovely, especially appreciated the fencing by the pool with a toddler. 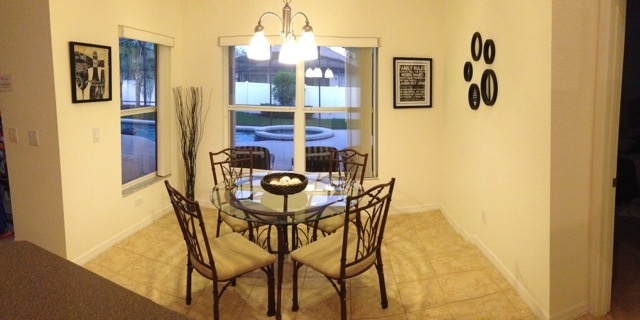 The area is lovely with all amenities close by. Only a 15 minute drive to disney which was ideal.We would definitely return to the villa when we next holiday in Florida. 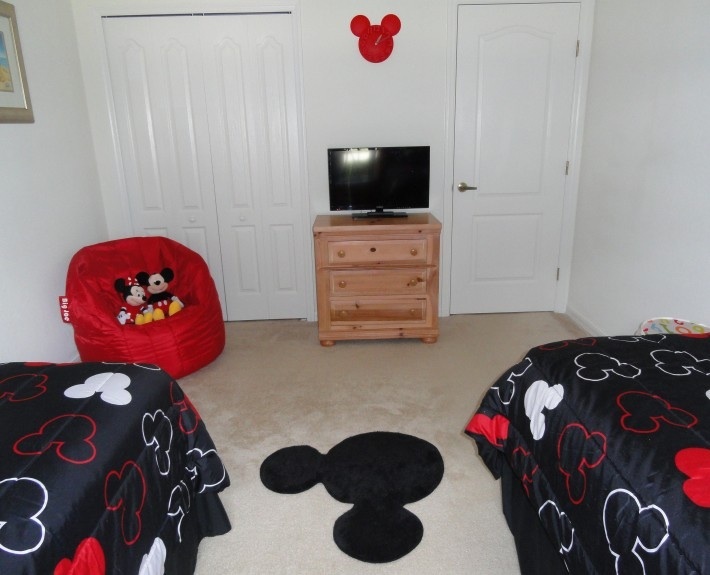 journey to Disney and sufficient amenities close by in ChampionsGate. Both the owners and the management service are a pleasure to deal with, we had 3 queries whilst in the villa which were resolved very quickly. Would definitely look forward to another stay here! 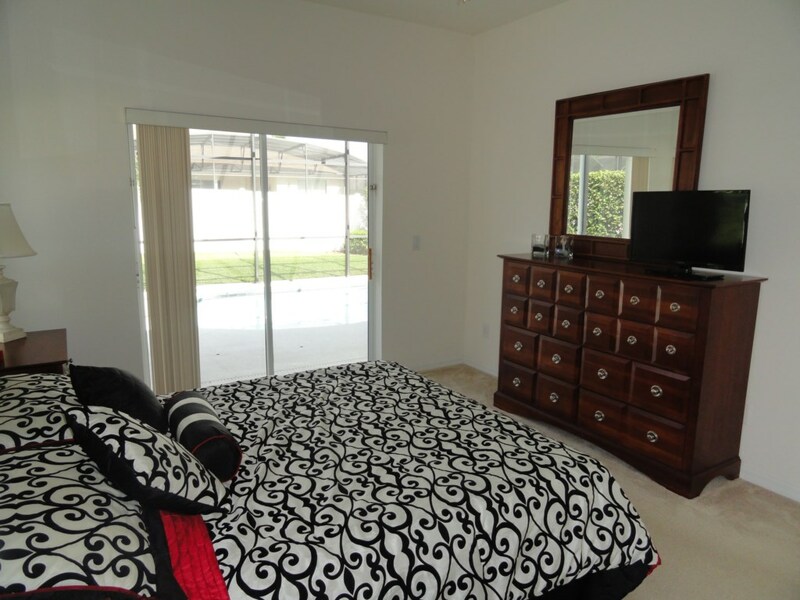 This outstanding four bedroom property with spa and pool is situated in a beautifully landscaped quiet gated community. 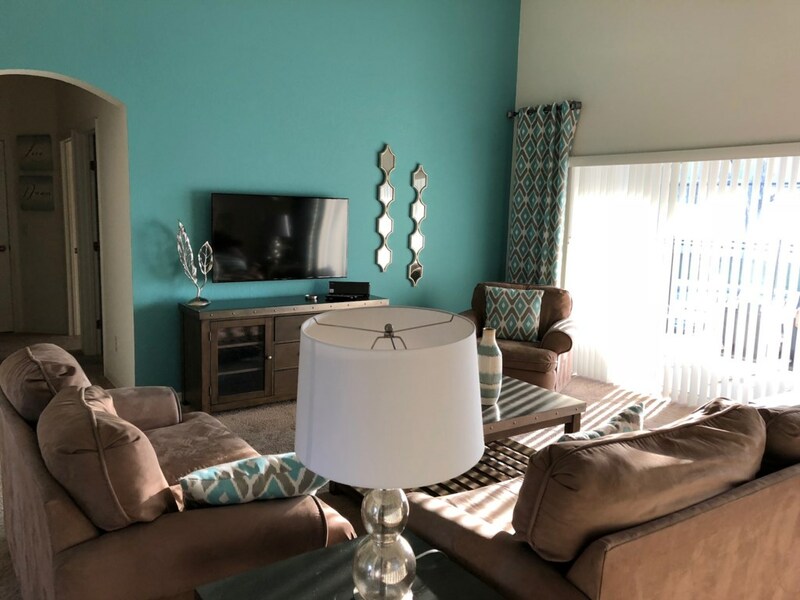 Our home is located on a palm lined boulevard at The Manor at WestHaven which offers a private tennis court and children's recreational area with cabana. 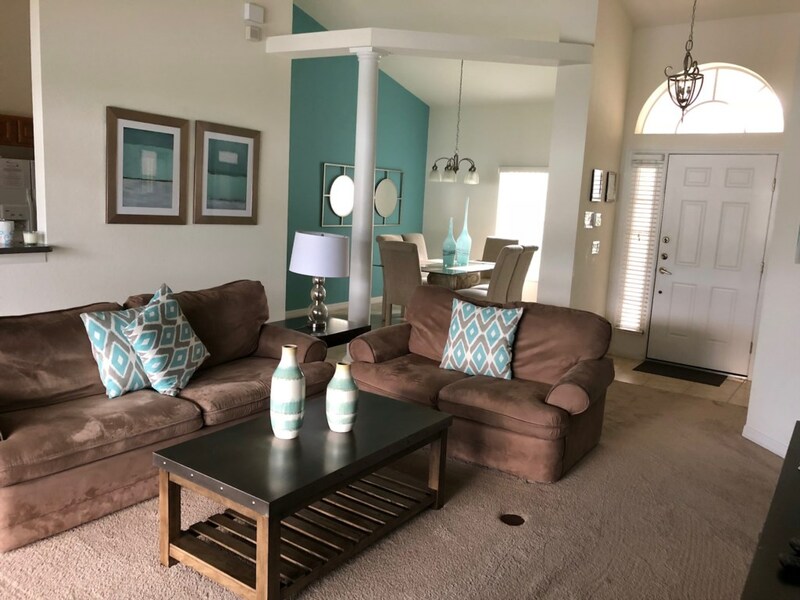 The villa is within 15 minutes of Walt Disney World where the theme parks include Magic Kingdom, Epcot, MGM Studios, Animal Kingdom and the water parks are Blizzard Beach and Typhoon Lagoon. Other attractions in the Orlando area include Universal Studios, Universal Islands of Adventure, Universal City Walk (night-life), Sea World, Wet'n'Wild, Silver Springs (natures theme park), Gatorland and Wonderworks. Attractions nearby include Kennedy Space Center, Busch Gardens Tampa and Daytona Beach. 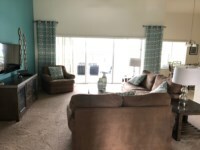 Local golf courses include:- ChampionsGate, Highland Reserve, Southern Dunes, Celebration, Walt Disney World, Orange County National and Hawks Landing. 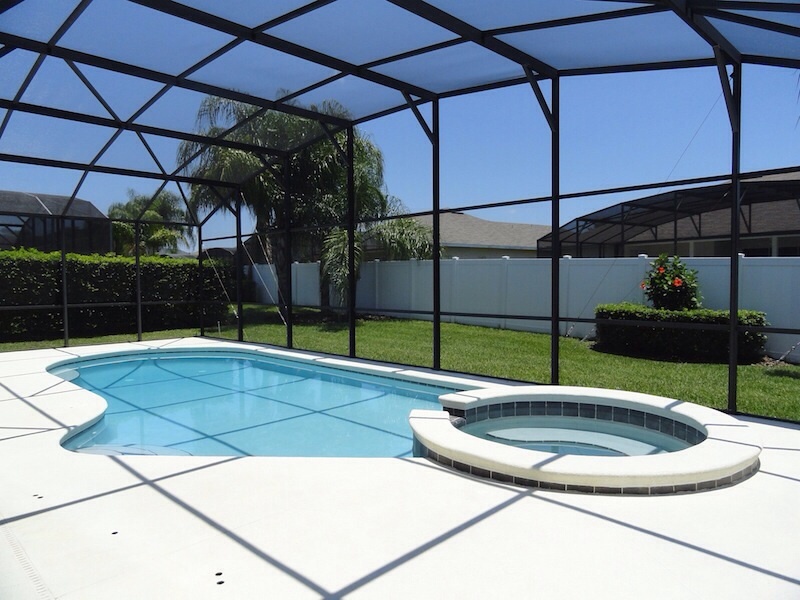 The Villa is 35 minutes from Orlando International Airport and just an hour from Florida's Gulf and Atlantic coasts. 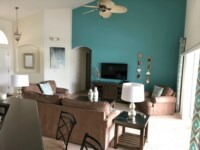 The property is connected to the Brighthouse network for all your communication needs, free telephone service throughout the USA, Up to 10 Mbps of Internet Download Speed with WI-FI access and 250+ TV Channels. In a palm lined gated community this 4 bed, 3 bath superior executive villa is located just 7 miles from Disney. A private driveway leads to the villa which comfortably sleeps 8; however we can make arrangements to sleep 10. Please ask for details. 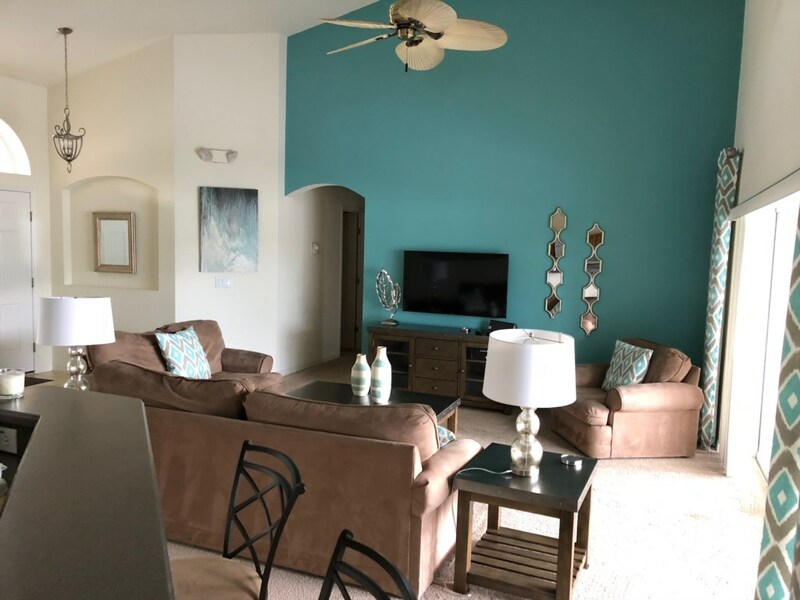 The property is connected to the Brighthouse network for all your communication needs, free telephone service throughout the USA, Up to 40 Mbps of Internet Download Speed with WI-FI access and 250+ TV Channels. This stunning 5 star property comprises a master bedroom with en-suite which has a queen sized bed, large wardrobe, and cable TV. The en-suite has a roman tub, separate shower and twin vanity units. 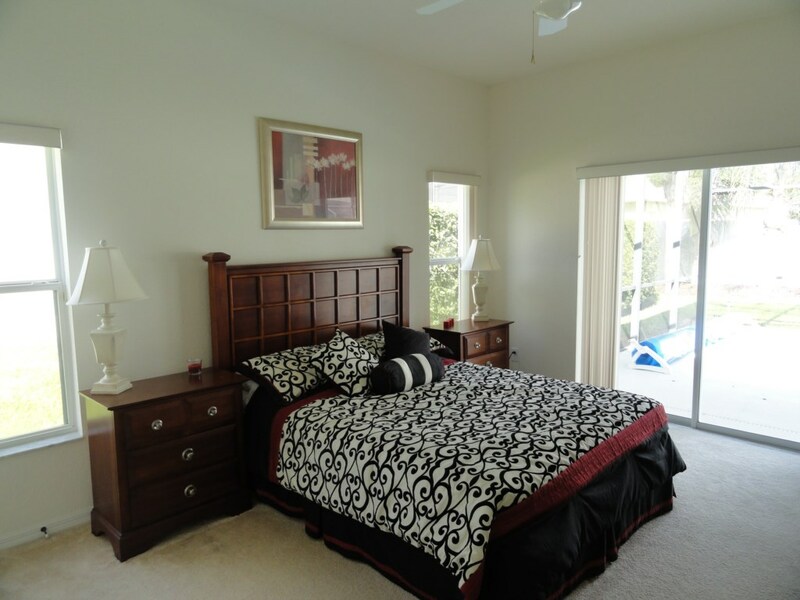 This room also benefits from patio doors leading onto the pool deck. The living room has comfortable seating for 6 people with cable TV, DVD player, Stereo and Ipod Dock. Sliding glass doors lead to the lanai and pool deck. There is also a seperate dining room which seats 6 round a large table for a more formal occasion. The pool deck is equipped with comfortable seating and relaxing loungers. A 7ft diameter Spa spills over into the heated 30ft by 15ft pool. 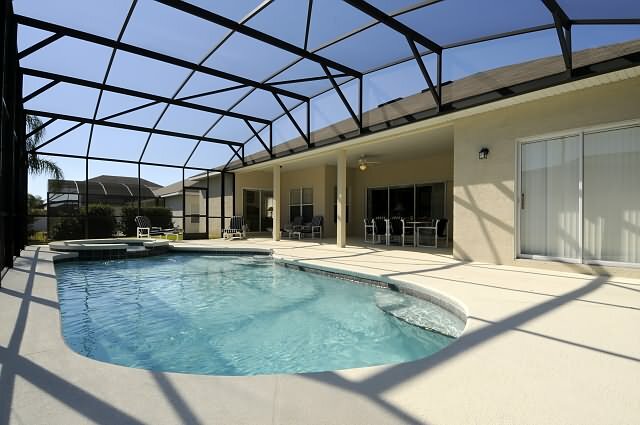 Superior executive holiday home situated in a beautifully landscaped quiet gated community within 15 minutes of Walt Disney World. We have been coming for years and this is the best home we have visited and is right up our street - I can safely say that we will treat your home as though it is our own - we have loved the pool area and the lads love the TV in the lounge as they do nothing but utube 'Minecraft etc' as though they are at home !!! US$ prices quoted do not include 12.00% Sales and Tourist Tax. UK£ prices quoted are fully inclusive of all taxes. It is advisable to use one of the above two options during the months Oct - March. We have just returned from The Manor, having stayed here several times now, though never at New Year. It is like a reunion with a long-standing friend who happens to live 4,000 miles away so can't meet up too often. Whilst new development continues at nearby Champions Gate and along Ronald Reagan Parkway The Manor remains as it has always been, a simple but ideal home from home. 6 of us stayed this time around - two parents, two grandparents and two children (17 and 12). It never feels as if we are falling over one another and after 3 days in bustling Miami this was the perfect base for some slightly more chilled days. Thank you Jason & Scott once again; it might take a while now but you'll hear from us again! Owner's response: Thank you for your kind words and returning to our home. This is the second time we have stayed here and it won’t be the last!! The villa is amazing has everything we needed for a fabulous holiday. 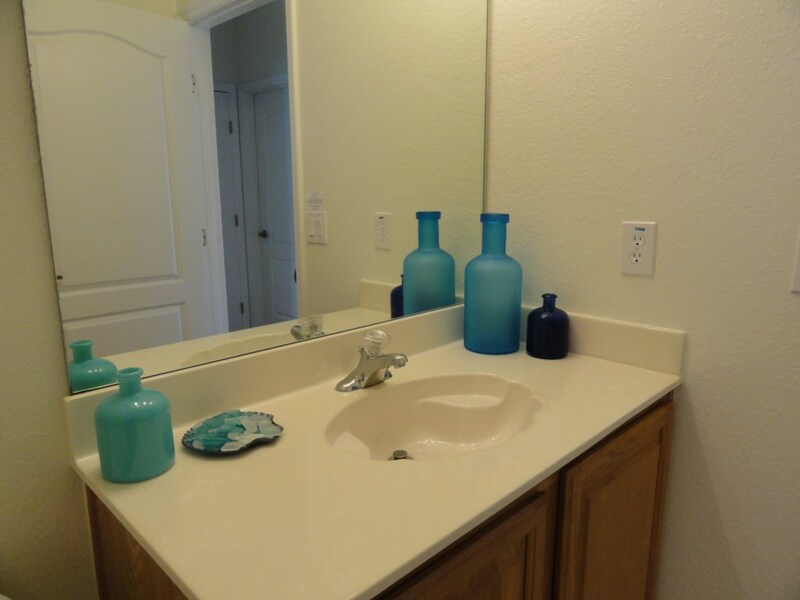 It is ideally located for all of the parks and only just over an hour to Clearwater Beach. The villa itself is decorated beautifully and has everything you need. We did not want to come home. The owners are great, friendly people and they are very accommodating to your needs. Would very highly recommend a visit it’s fabulous! Owner's response: Cheers Keely, great to hear you had a good time. I stayed here with my partner and his sister and her partner and we had a great time. The villa is lovely, spacious and clean. 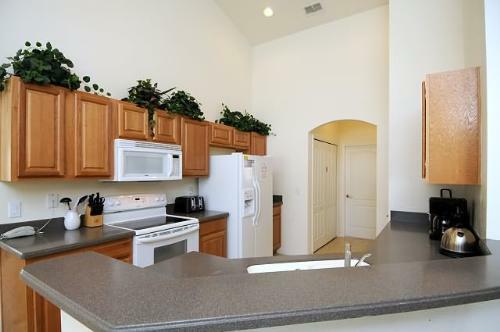 Has everything you might need kitchen-wise and is in an amazing location for all the parks. It also has a brilliant info booklet that will tell you EVERYTHING you need to know which is great if you’re not familiar with the area. We’ve been here a few times and it still gave us some great places to go/things to do. If you get the spa heat it’s really lovely to sit out at night as it’s very warm. In hindsight I might have paid extra for pool heat too, because of the time of year we went – can get a bit cold. We had an amazing time at your home and thought it only fair to share this with you. Unfortunately, we were all poorly whilst in the US with one thing or another. This however was made much easier to bear because of the wonderful surroundings and home comforts we had. The pool and spa were amazing and most of our time at the villa we spent in there. It will hold very special memories for us because we have been trying to get our 5 year old to jump in at swimming lessons for months. On the first day, he had been in the pool 10 mins and he jumped in! We managed to capture it on video which makes it extra special. Thanks again for allowing us to use your beautiful home. We hope to share your home again soon! What an amazing place to stay! We found the Villa huge! 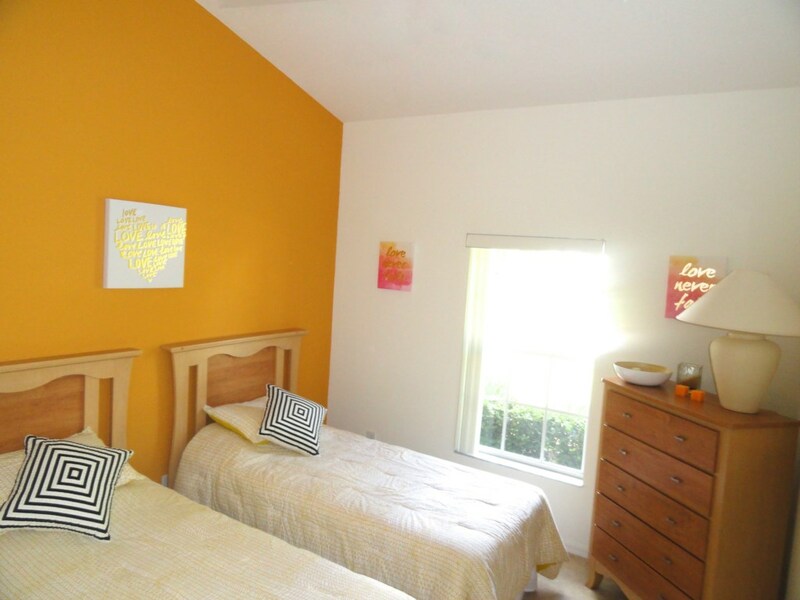 All of the rooms were spacious, tastefully decorated, clean and the furnishings top quality. The place was spotless! All appliances really easy to use and a great tourist manual and instructions provided by the owners on how to get to places and recommendations for restaurants – this was a real help to us. Scott and Jason are very friendly and helpful. We had questions before we went and their responses were always most informative – nothing was too much trouble for them. The Villa is in a great location. We visited Kennedy Space Centre, Universal and Wet n Wild – really easy to get to in the car. The Villa is very well located for convenience stores, restaurants and petrol. We could not fault the place! Thank you Scott and Jason – we have stayed in many Top Class Hotels all over the world and your Villa accommodation was better than any of the hotels we have ever stayed at – the Villa and your help with our queries exceeded our expectations and we will return! We had to book this house with only weeks to spare as previous booking let us down, the owners Scott and Jason were very understanding and put us at ease from 1st contact. The house was exactly as described, a wonderful accommodation. 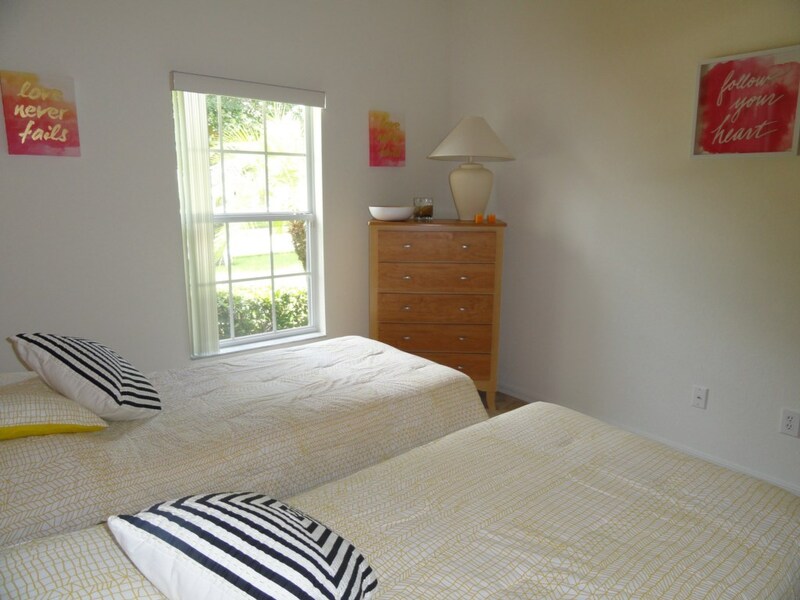 Located perfectly for trips to Parks, International drive, superb selection of golf courses, shopping, dining etc. some day’s it was hard to leave as the house has so much to offer, the pool, kitchen, entertainment system, TV etc, and as the weather was also so good we spent most evenings by the pool relaxing. Presentation of the house was excellent and we could not find any fault, everything was clean and felt new. Would highly recommend this house for family visits to Florida. Owner's response: Many thanks, glad you had a wonderful time. Just returned from an amazing stay at The Manor. This was a real home from home with everything we needed. 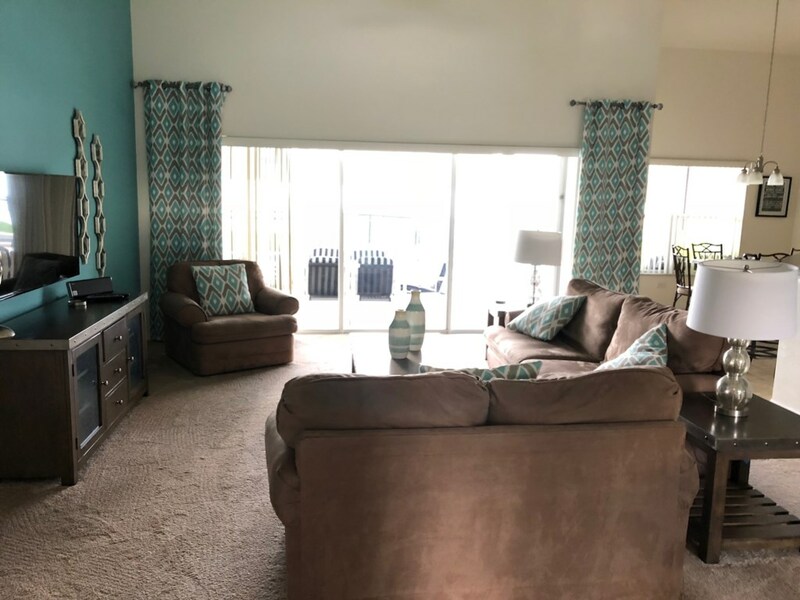 Perfect location 15-20 mins from Disney. Nice quiet spot to relax and enjoy the pool. 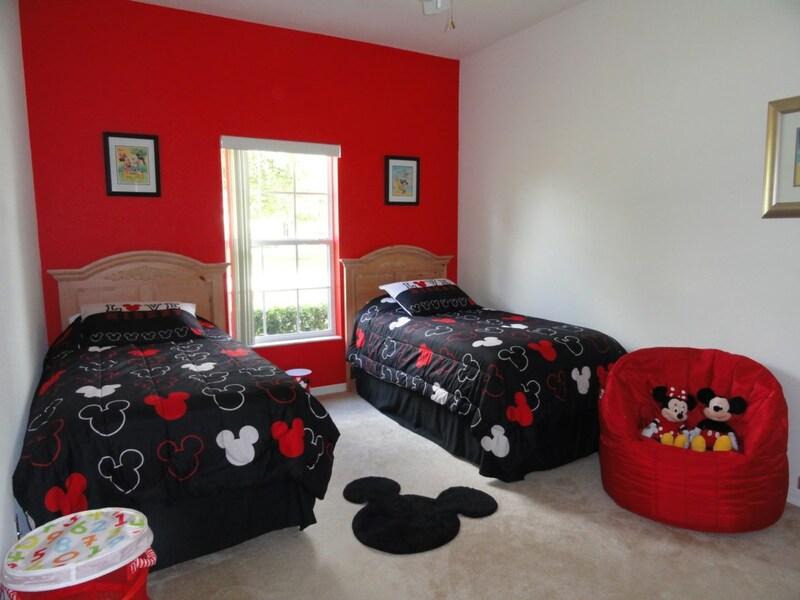 Our girls loved the Disney themed bedroom! We plan on a return visit and highly recommend a stay at The Manor. Owner's response: Great news, thank you for the kind words. 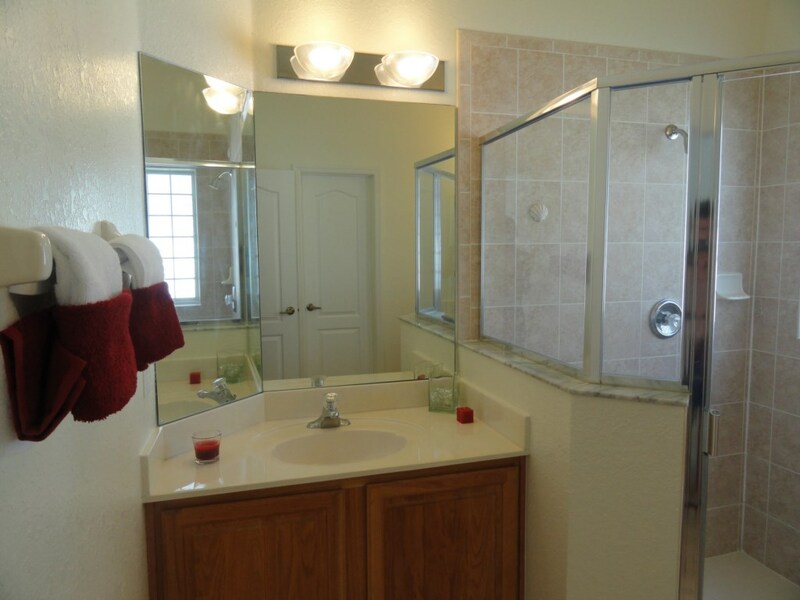 Owner's response: It was a pleasure to help, thank you for choosing our home. This was an outstanding Villa. Clean, well presented and stocked with everything you need for a home away from home. Communication with the owners was easy and prompt. It made a dream holiday even better. Owner's response: Thank you for the kind words, great news to hear you had a wonderful time. Your enquiry will be sent to villa ref 3433 only. This page has been viewed 21004 times since 15 Nov 2010.